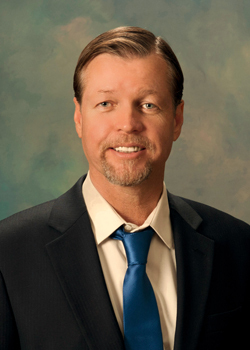 Tom Johnson is an experienced residential real estate broker having had licenses in California and Colorado as well as North Carolina. 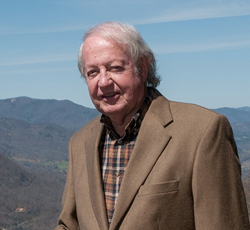 He has worked extensively in Residential Development and construction, participating in the planning and development of several communities including the Smoky Mountain Retreat at Eagle’s Nest located in Maggie Valley, NC. He has a Bachelor of Science Degree in Business Management from the University of Florida. He and his wife live in Maggie Valley, NC. He works well with people and is good at analyzing property values and negotiating transactions as well as following a transaction through to completion. Tom enjoys working with people and helping them achieve their goals. If you are ready to sell your property or are looking for property in the mountains, he will be glad to help. Sarasota Developer, Sherell Johnson never understood the pull that the Western North Carolina Mountains have on Floridians until his son, Tom, moved to Waynesville and built a log home for himself. Tom also developed a small 26-acre mountainside tract into 19 home sites and gained a little insight and experience in mountain road building. Sensing the possibility of a unique but economically sound venture, Sherell and Tom acquired 50 acres on a beautiful mountainside to try an unusual concept. An entire community of log homes. The idea clicked, and the Smoky Mountain Retreat – now a series of log Home Communities – was born. Today there are 3 Smoky Mountain Retreats covering over 1,400 acres and sales have boomed. Sherell Johnson has built homes and developed communities in Sarasota, Florida for over 30 years. His largest communities are Deer Creek – a 484 Home Community and Calusa Lakes – a 575 Home Golf Course Community – both on the south edge of Sarasota. He has also built over 80 homes in the prestigious T.P.C. owned golf course community – Prestancia. He is well known and respected as an upscale builder/developer who keeps his word and gets the job done.